Made with heavy-duty plastic rungs and connected by ultra-strong nylon webbing. Extra durable for indoor and outdoor use. Rungs are spaced 17” apart. 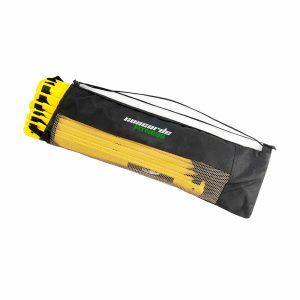 Includes Smart Organizer to hold rungs when collapsed, as well as connector clips for adding a ladder to the ends. 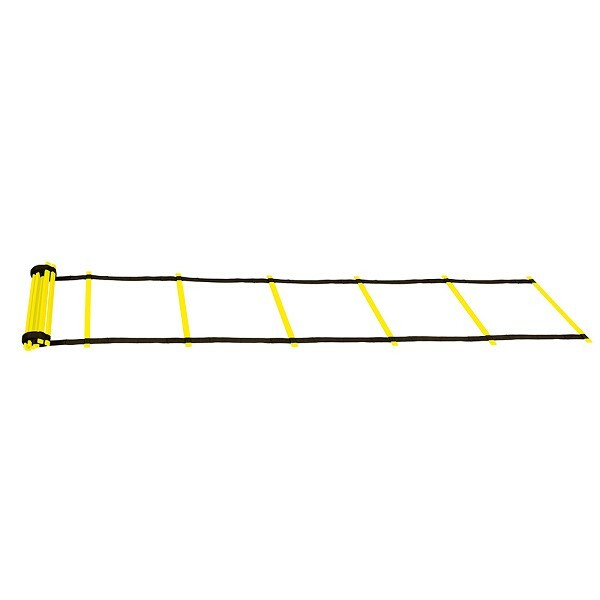 One 15′ Agility Ladder can be split into two 7.5′ sections that connect together for use as a Double Lane ladder.